Accomplished pilot Mike tells his story about what it means to be a glider pilot, and why he wears Bigatmo sunglasses. 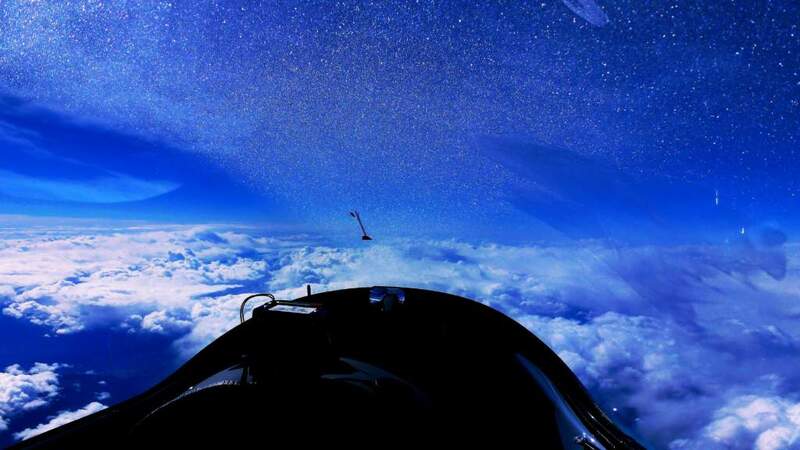 “Soaring (or gliding, it all depends where in the world you are) at 30,000 feet and still climbing at a generous 600 feet a minute with no engine, maybe is easier than many people think. Our atmosphere has so much energy that is not known to many. But it is out there. Soaring in mountain-wave conditions is the holy grail for glider pilots. “Vision being one of our most valued senses must be preserved at these altitudes, where the UV radiation and the sun is shining brighter despite the fact the sky turns to a darker blue. In this picture you can see the ice crystals which have formed inside the canopy as the temperature drops. 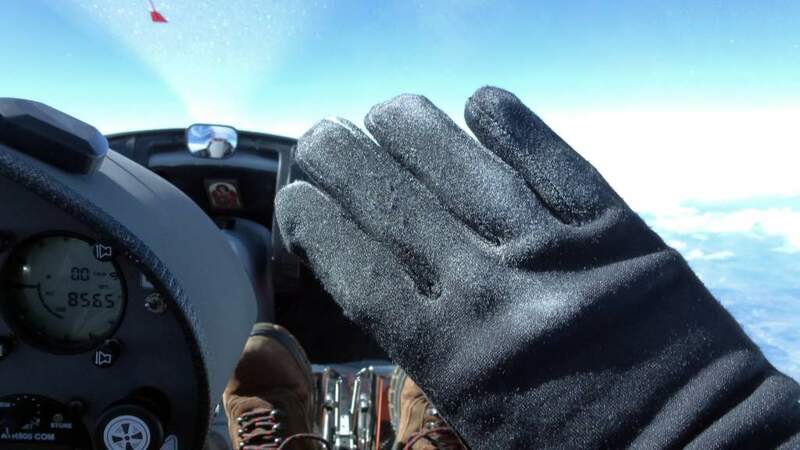 The ice crystals are forming on Mike’s gloves too, this is not every day gliding for sure. Mike is an airline captain with more than 13,000 hours in the air. Test pilot for airliners as well as for Pipistrel advanced light sport aircraft and also seaplanes, he spends more time flying than walking. He commanded B747, Airbus 300, 320 and soon moved to the A380. Gliding is his passion and he does not consider it flying, but a state of mind that needs precision and sound decision making. Mike wears the following Bigatmo sunglasses: Model: Tropo 0013 polished titanium frame with Zeoilite lens and white silver mirror finish.